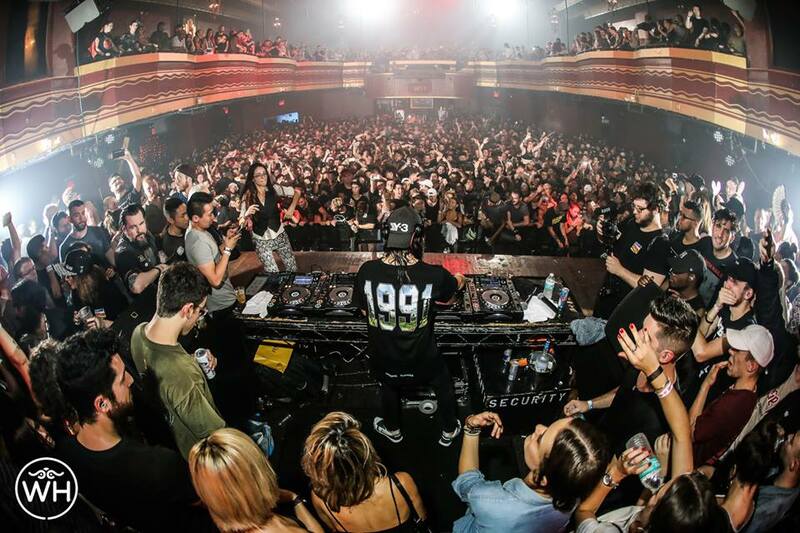 For years, Webster Hall has served New York City and the greater east coast dance music scene, curating top notch events and booking the world’s most prominent DJs. 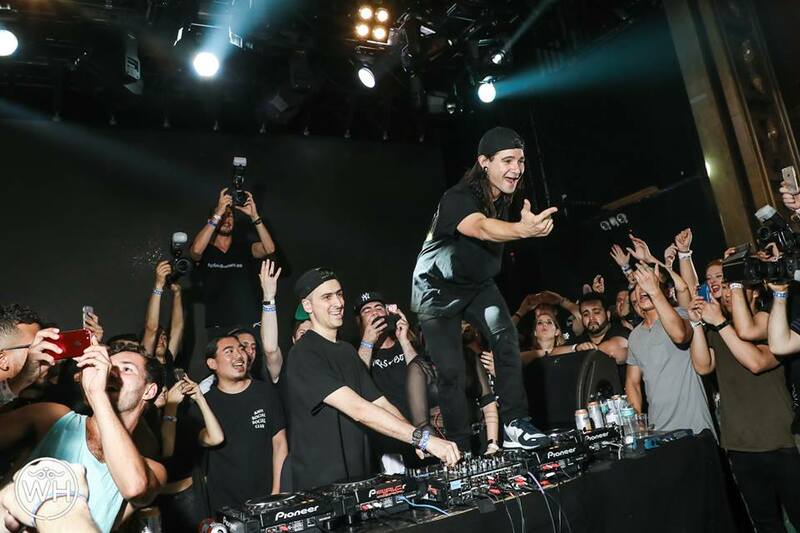 With the venue due for extensive renovation later this month, and new management under AEG, fans from all across the country gathered in Manhattan to see arguably the most popular and influential DJ in the world, Skrillex. 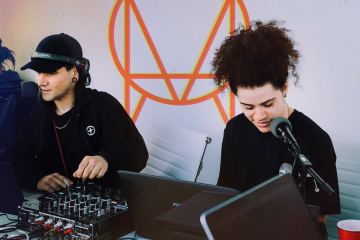 During the historic last Saturday night at Webster Hall, Skrillex reportedly requested there be a guest list in the hundreds to make for a full-on party, and a party it was. LA-based duo Deux Twins kicked off the night at around 11 PM with an assortment of hip-hop, bass & house music tunes. The bottom of the grand ballroom by now was decently packed filling in anywhere from 60-70% capacity. 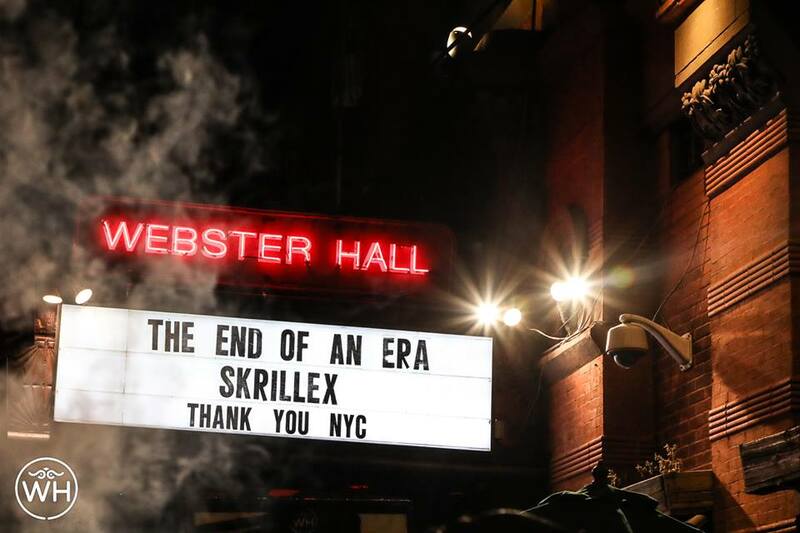 By now the the grand ballroom was a sauna as people packed in tight together to see Skrillex shutdown Webster Hall one last time. 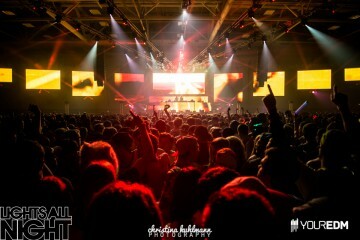 Skrillex took the stage around 1 AM and the room erupted with cameras flashing. Skrillex grabbed the mic and told everyone to take their pictures. Then asked everyone to put their phones away. The moment Skrillex started playing it was as if everyone’s energy level went into overdrive. 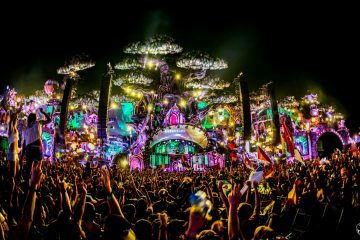 Within the first 30 minutes of his set he dropped Joyryde’s fast-paced bass house masterpiece “Hot Drum,” XXXtentacion’s “Look at me!” and one of his latest tracks, “Would You Ever,” featuring Poo Bear. The venue by now was fully packed out with everyone dancing and drinks flowing. 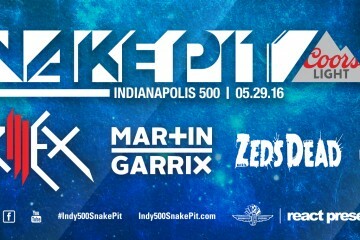 Up next was a legendary back to back between Skrillex and Boys Noize otherwise known as Dog Blood. The back to back kicked off around 3 AM with the crowd still enjoying every moment of the night. The duo dropped their debut 2012 collaborations “Next Order” & “Middle Finger” and even after hours of tightly packed dancing, the crowd relentlessly continued moving from side to side. 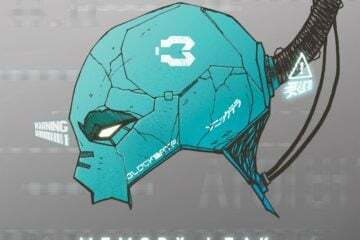 Around 6:30 AM the Webster Hall security team cut off the music after 4 resident DJs were going back to back. With Webster Hall concluding its last club night ever, there was no better way than Skrillex behind the decks for 5 hours taking everyone on a journey through sound. Well done, Webster Hall, and thank you for a magnificent night.